Group Discussion Ideas > Ethical GD Topics > Are CCTV cameras in public places effective or just an invasion of privacy? We need to have surveillance cameras in public places as they provide public safety. Along with that crimes can also be prevented even before beginning. This decreases people’s fear of crime and sense of security is also increased. If Individual knows that there is a surveillance camera, they may be less willing to commit a crime. Cameras also keep you and your personal property safe. Hence crime rates will be reduced. Any surveillance which has captured a crime in the camera can be used as an evidence in the court of law. Along with this, the cameras can also help prove someone’s innocence in case of false accusation. In most of the cities, there are security cameras at the traffic lights, which help in checking people from breaking the laws and can also help in monitoring the road conditions. Hence they help in maintaining law and order. One can easily depend on the cameras for the records which can later be used in documentation as well as keeping an eye on a large area from the far distance. Video surveillance in public can be a threat to privacy. This can also increase the burden on the people that they are constantly being watched or monitored. This constitutes violation of public rights. Even surveillance cameras, like computers and cameras, may make mistakes; they can even be misused at times. The information recorded in the camera can be used as a weapon in blackmailing or for spying on women and others. Misuse is one of the biggest problems with this system. 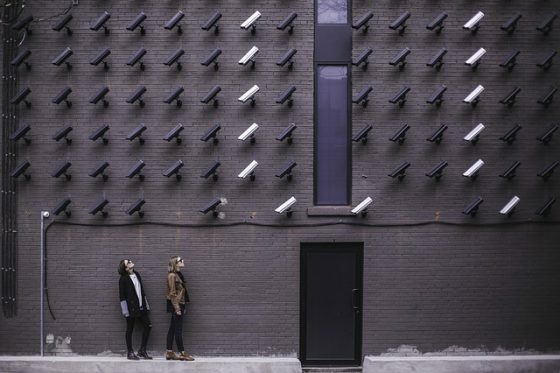 The cost of installing the public surveillance cameras as well as its maintenance can be very high, which is taxpayer’s money and have not shown any considerable reduction in the crime rates. With the latest technology in the market trespassers and thieves have found a way to go undetected under the camera. This makes security cameras vulnerable and useless. CCTV cameras are generally used to check of the recorded data, however, they cannot help in stopping the crime in progress. This means that you will have to face the loss even after the security. However, this is not applicable in the cases of live surveillance. Security should be given the preference over any other thing and there should be no such concern about the privacy violation if you haven’t done anything wrong. Surveillance cameras are meant to keep you and other public properties safe, not to stalk anyone. The main aim of the camera is to protect people and provide evidence when a crime has been committed. Before making the important decision of installing security camera systems, it is better to have full knowledge about them, as that will enable you to make an informed decision and after going through pros and cons of the system you can make a decision of your choice. According to me install CCTV camera in public places is very good. It is not like that all the people they have good intention ,bad peoples are there they want to take advantage like misbehave with the woman or theft , robbery etc . If CCTV camera is there then at least they will think twice, they will understand they are under surveillance camera. If any incident happens , people complain to police , it will be easy to identify the people from footage of camera. All the public places should install CCTV. If traffic department install CCTV in signal then people think if they want to violate the traffic rules and police can take action. in present day cctv cameras at traffic signals with a speed measuring device also helping in reduce the no. of accidents in metro and big cities due to high speed of vehicles.